The Sokkia Double Right Angle Prism 724780 features two prisms that allow for sight to the left and to the right. These prisms can reflect angles of 90 or 180 degrees. 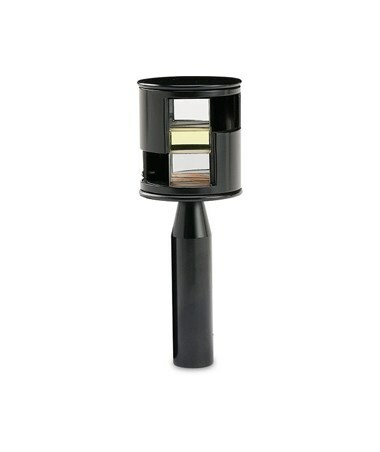 And a large center lens allows for direct foresight viewing, reliable leveling, and easy stakeout of right angles for surveying and construction sites. A convenient slot found in the prism's handle accommodates a plumb bob cord. 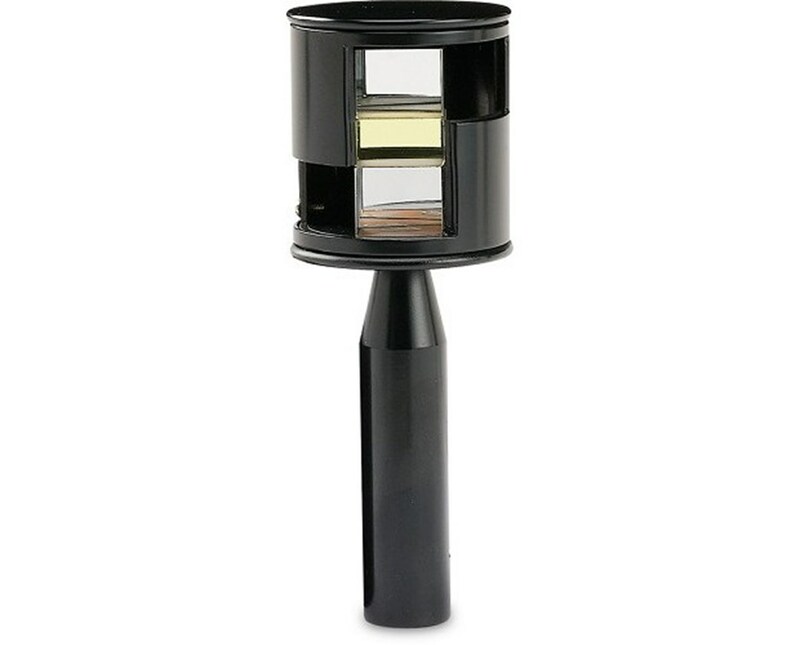 The Sokkia Double Right Angle Prism is 3.75 inches from top to bottom and constructed of durable metal. A leather belt loop case and 1-year warranty are included.